T-Mobile today unveiled a monthly data rollover plan for consumers and business customers called "Data Stash," but the plan still won't allow workers to share their data with others in a work group. Data Stash works much the same way for users who have a Simple Choice plan (or Simple Choice for Business Value Plan) and have purchased 3GB or more of LTE data per month for smartphones and 1GB or more for tablets. T-Mobile will give those existing customers, as well as new customers, 10GB of free LTE data in January. The data must be used by the end of 2015, and once it's gone, each month of unused data in a plan can be rolled over monhtly for up to a year. T-Mobile CEO John Legere described data rollover as a high priority for customers, noting that they asked on Twitter in 2014 more than 40,000 times for such a program. And Legere bashed rivals like AT&T and Verizon Wireless who don't offer such a program, contending that $50 billion annually is lost by wireless customers who have paid for data but then see it disappear at the end of the month when it doesn't roll over. "We're putting an end to this appalling industry practice today," he said. Even so, Data Stash won't let workers share their data allotments with other workers in a group, as T-Mobile describes on its Web site: "Our data plans are specific to the person, so businesses aren't wasting time and effort tracking everyone's usage. In other words, this is not a shared data option." Sharing data across a work group is often cited by Computerworld readers interested in lowering costs for themselves or their businesses. The practice is widely used by other carriers; by not offering data sharing, T-Mobile shows it's focused more on consumers than business customers. T-Mobile Chief Marketing Officer Mike Sievert said in a conference call with reporters that "we don't hate shared data, and we hate the way carriers have done it; the way they have done it is wrong." Sievert argued that other carriers are using shared data business plans to lure businesses into plans that end up costing them punitive overage charges. Sievert also admitted that T-Mobile has focused "mainly on the consumer with the business opportunity still in front of us." He promised specific announcements affecting business customers, specifically focused on SMBs, with customized plans for larger enterprises. He didn't elaborate, however. 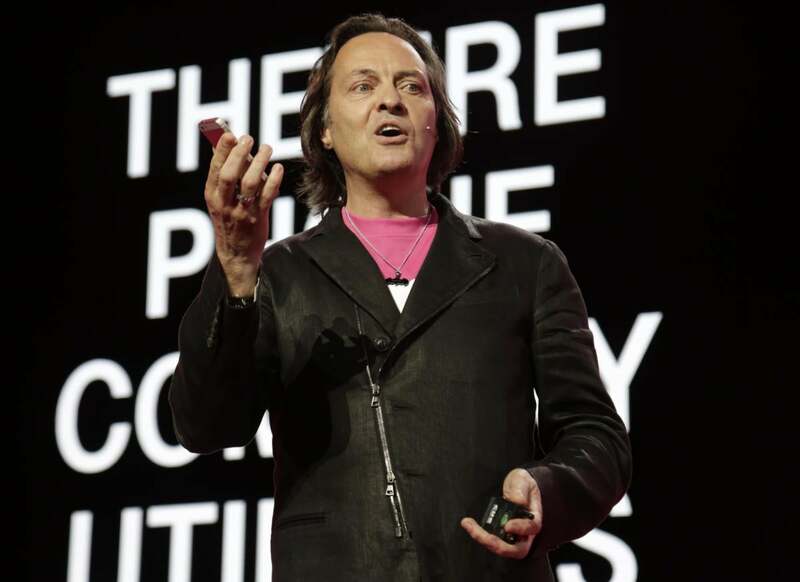 Also on the conference call, Legere added: "We want to change the stupid, broken, arrogant [wireless] industry. We have not penetrated far into the business segment." There's a "spillover of things we've done for consumers" coming to business customers, he added. Roger Entner, an analyst at Recon Analytics, said that T-Mobile isn't allowing data sharing between workers because it runs a third-party billing system that won't allow that kind of information to be processed. "Big business sharing of data is the industry standard, and it helps lower costs," Entner said. Entner also questioned how many T-Mobile customers will actually benefit from the Data Stash. While T-Mobile said 80% of its customers use more than 3GB a month (the minimum required under the new plan), Entner said the average data usage across the U.S. is less -- 1.8 GB per month. "So how are T-Mobile customers using over 3 GB, since they would be twice as heavy data users as the rest of the nation?" Entner asked. In addition, he questioned T-Mobile's contention that $50 billion worth of data is lost annually, yet paid for, because data doesn't roll over. Entner said that $50 billion represents 28% of the entire $180 billion annual value of the whole U.S. wireless industry. "That $50 billion sounds ridiculous," he said in an interview. "T-Mobile will continue to be a part of that $50 billion lost because very few people will use the Data Stash. If you usually use just 2 GB a month, then Data Stash doesn't change a lot for you and you will never roll over. So, Data Stash helps in only very specific situations. I don't think the rollover news is that big of a deal, even though they put huge hype behind it." Entner said when AT&T announced it would roll over voice minutes, it only helped AT&T marginally. "That was not a significant game changer. Nobody picks a carrier because they can roll over data," Entner said. Legere, when challenged on the value of data rollover to T-Mobile, acknowledged it "won't lead to the promised land." But he said not having data rollover is a "pain point" of customers and should be evaluated along with seven other "un-carrier" announcements made in the past two years. During part of the conference call, Entner politely debated Legere over whether T-Mobile's eight different "un-carrier" announcements, including Data Stash, are generally intended to put the carrier in a position to be purchased. Deutsche Telekom owns 72% of T-Mobile and has repeatedly declared its interest in selling its share. Legere said it is "painfully clear that the [T-Mobile] strategy is multi-pronged to create a sizeable player. I can't imagine anything we've done so somebody can say it's because of a look" to sell the company off. Legere said whether or not Deustche Telekom wants to hold onto T-Mobile is "totally different" from the kinds of choices consumers make, as well as the choices Legere as CEO makes. "They are an owner," Legere said. "I have a very scalable and funded business, and if they are a shareholder that wants to leave, I'm fine." In an interview after the call, Entner said that Legere is "right that he has a company to run. At the same time, Deutsche Telekom wants to sell this thing and that's what they've said to Congress, among others. Running a successful company makes it easier to sell. He's making smart enough decisions that he's holding the line on profitability and makes it sustainable. " But Entner pointed out that whether Deutsche Telekom sells is out of Legere's hands. "Legere doesn't want to talk about selling, but it's not his call," he said. "If he believes that nobody tells me what do, well, your owners look at it differently."